"SHUB-NIGGURATH was formed in 1983 and consisted of six musicians: Allan Ballaud on bass, percussionist Franck Coulaud, Frank Fromy on guitar and percussion, Jean-Luc Herve on harmonium, piano and organ, vocalist Ann Stewart, and a trombone/bass player Veronuque Verdier. The band released their first untitled demo on 1985 and got good feedback from critics. The promising debut album, "Les Morts Von Vite", was released on Musea label in 1987. The album received good reviews and is their finest moment: it caught the band at the peak of their creativity. Musea reissued this album on CD in 1997, including two rare bonus tracks. The debut sold well and later, in 87, SHUB NIGGURATH's song appeared on Musea's Zeuhl compilation "Enneade", a tribute to the legacy of Magma. 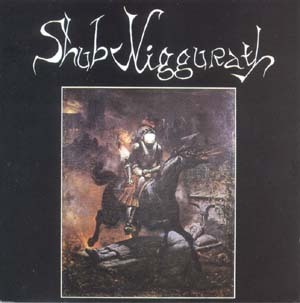 [...] SHUB-NIGGURATH's best album is the debut, and it's also the best place to start exploring their music. 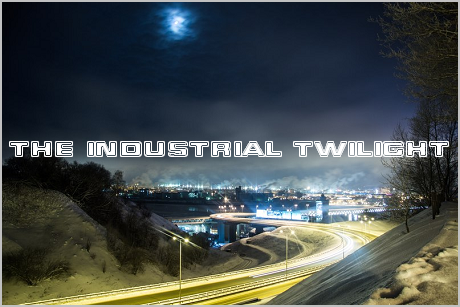 However, their career has been fairly consistent and the other two albums are quality efforts. If you like dark, brooding mix of RIO and Zeuhl you will like SHUB-NIGGURATH. their avant-ish dark prog with a sharp edge is both unique and challenging"
While I can't say this album reminds me of Magma, it's definitely a classic and should be recommended to anyone who wants to hear some progressive rock that's really hard to get into. The atmosphere on "Les Morts Vont Vite" is quite dark, but what else to expect from a Lovecraftian band?..